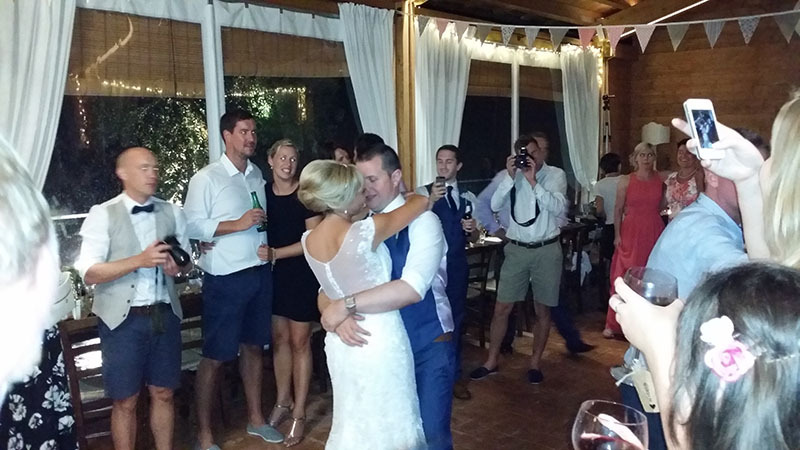 Casa Cornacchi wedding music, a video recorded during an English wedding party at Casa Cornacchi – Montebenichi, 52021 Bucine, Arezzo, Italy by Guty & Simone, the Italian wedding musicians. Casa Cornacchi is located near some of the most famous art cities of central Italy, such as Arezzo, Perugia, Siena, Firenze. The country house is easily accessible through major roads. The venue is also near to areas of interest such as Chianti Classico, Crete senesi, Thermal baths. Guty & Simone are both guitarists and Singers. The most experienced italian band for wedding entertainment very familiar with the English spoken audience and specialized in international weddings. They usually play in Irish, English and American weddings all over Italy. They can provide live music and dj sets during the dinner and the after dinner dances.